WinX HD Video Converter Deluxe works as all-in-one video converter, online video downloader, photo slideshow maker, video editor which gives you an ultimate control over SD, HD and 4K resolution video files. With 370+ built-in video & audio codecs, it owns powerful capability to meet fast and high-quality video conversion needs without assistance of any third-party tool. 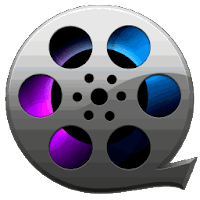 This video software enables you to convert between all mainstream video formats, like 4K Ultra HD, 1080p multi-track high definition videos MKV, M2TS, MTS, AVCHD, MOD, HD camcorder videos, Blu-ray videos, and standard definition videos AVI, MPEG, MP4, M4V, WMV, MOV, VOB, FLV, RM, RMVB, WebM, Google TV, etc. Moreover, it has 410+ built-in preset profiles to convert videos for playing on Apple (iPhone, iPad, iPod, Apple TV, iTunes), Android (Nexus, Samsung, HTC, Kindle Fire), Microsoft (Windows Phone, Surface, Xbox), Chromecast, Sony, Nokia Lumia, PS4, PSP on the journey. The fastest tool to convert 8K, 4K, 1080p, MKV, AVCHD, MP4, AVI, etc. 410+ preset profiles for iPhone, iPad, Android phones, tabs, etc. Download video music from YouTube, Facebook and 300+ online video site. Edit, Trim, Merge, Subtitle Videos at Ease. Support QSV & Nvidia NVENC hardware acceleration tech. Disclaimer: Direct downloads for the lastest version of WinX HD Video Converter Deluxe 6.0.4 are provided by the official software's author, we can't guarantee safety, availability or download speed. Moreover, we don't and we won't provide any pirated/illegal versions or tools. We recommend you to avoid it as these methods can harm your device. If you like the software, buy it to support the developers. (We provide software discounts for many worldwide brands).